Which Breast Implant Size Is Best for You? Your breast augmentation is personal, and the decisions you make throughout the process will depend on the reasons for your decision to undergo surgery. Some women simply want to get back to a former version of themselves—the one they saw before they gained weight, lost weight, became pregnant, or breastfed. Other women want to feel more confident in their skin or better fill their clothes. 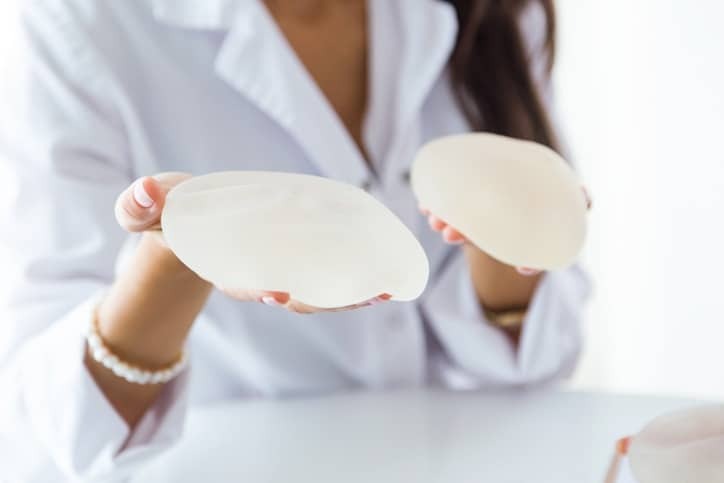 If you’ve decided to get breast implants, the next step considering the type, size, and shape of implants that will best achieve the look you desire. Doing your research ahead of time can make it much easier to share your goals and ideas with your care team, but remember that you aren’t alone in this process. Your board-certified plastic surgeon will guide you through the decision step by step. Additionally, know that not every implant size and shape is an option for every patient. Which implants can be used successfully will depend on the height and width of your rib cage and other factors. If you are limited to certain sizes or shapes of implants, your surgeon will explain your options and limitations thoroughly. Different implant manufacturers use different terms to describe the shape or profile of implants, but you generally have two options: round or more natural teardrop implants. Round implants range from moderate profile (less projection) to ultra high profile (the most projection). When you choose a board-certified plastic surgeon in Northern Virginia, you’ll quickly learn that your size options are actually quite limited depending on the elasticity of your skin and tissue and the diameter of your breast. During your consultation appointment, your surgeon will measure your breast diameter and assess the elasticity of your tissue. Using that information, he or she will share with you the possible options that are most likely to help you achieve the result you want. To help you make an informed decision, know that it is very uncommon for a patient to feel that her implant is too big. Instead, it is much more common for patients to share that they wish they had gone just a little bigger when choosing a breast implant size. For this reason, it is often recommended that once your surgeon narrows down your options—which will generally leave you with just two or three implants to choose from—that you choose the largest of the ones you are considering. Remember that when implants are inserted under the muscle, it takes an implant one size larger than the one you like the most to achieve the same result. You’ll have the option to choose between saline and silicone implants. You might hear silicone implants called “gel” implants. Silicone implants are more expensive than saline and provide a more natural look and feel; in fact, they feel much like your natural breast tissue, but just a bit firmer. Women with less natural breast tissue are less likely to experience visible rippling, too. There is one primary disadvantage to silicone implants: Because they don’t spill out when ruptured—and because the body doesn’t absorb the silicone gel—it can be difficult to know when your implant has been punctured or damaged. Saline implants, as the name suggests, are filled with sterile fluid. They are less expensive than silicone, and although they don’t provide the same natural look or feel, they do bring a couple of advantages; it is less likely that you’ll experience hardening with saline implants, and ruptures are very obvious, so you know when to seek medical care. If you haven’t already chosen a board-certified plastic surgeon, you can start your journey toward fuller breasts by scheduling a consultation appointment at NOVA Plastic Surgery in Northern Virginia today. During your consultation appointment, you can expect to learn about types, shapes, and sizes of implants, options for incision location, and placement options (over or under the muscle). Our expert team of breast augmentation specialists can be reached at 703-574-2588, or you can request an appointment online for your convenience.